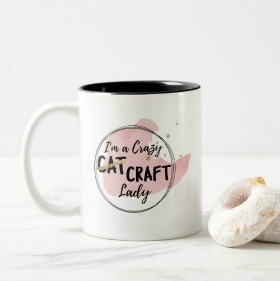 Hey Crazy Craft Lady Tribe! Here we are, smack dab at the start of Spring, looking forward to Mother’s Day. So I thought, what could be better for Mothers Day than taking off a little bit of stress? Need an easy-peasy printable Mother’s Day Card? I gotcha. Keep on reading! It’s Cynthia again from Home Beautifully, back to say a friendly hello and give ya a pretty little printable. 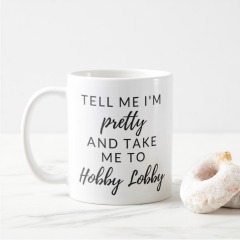 Yep, you might remember that I’m ALLL about the printables. Recall this little Easter beauty? 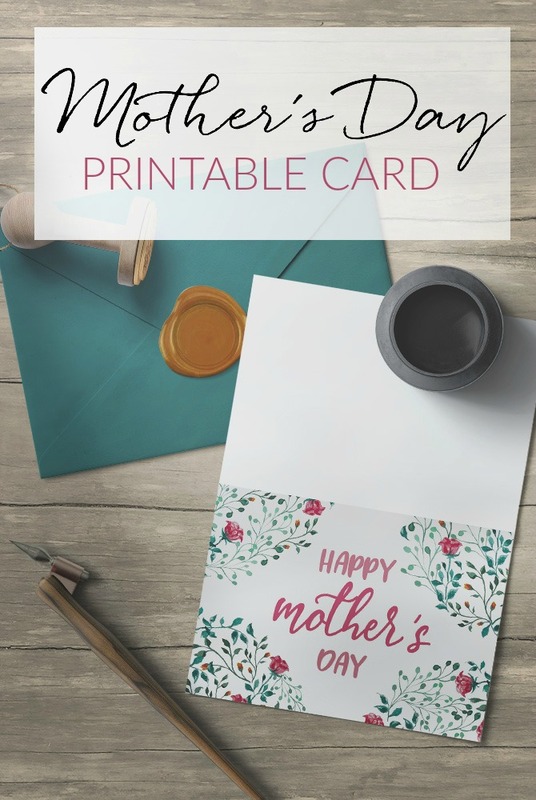 I’m so excited to share this free printable Mothers Day card, perfect for the mamas in your life. Enjoy! This oh-so-pretty printable Mothers Day card is at my favorite price in the whole world: free! Yep, you can grab this freebie and download away. It’s an exclusive bonus for Crazy Craft Lady subscribers. 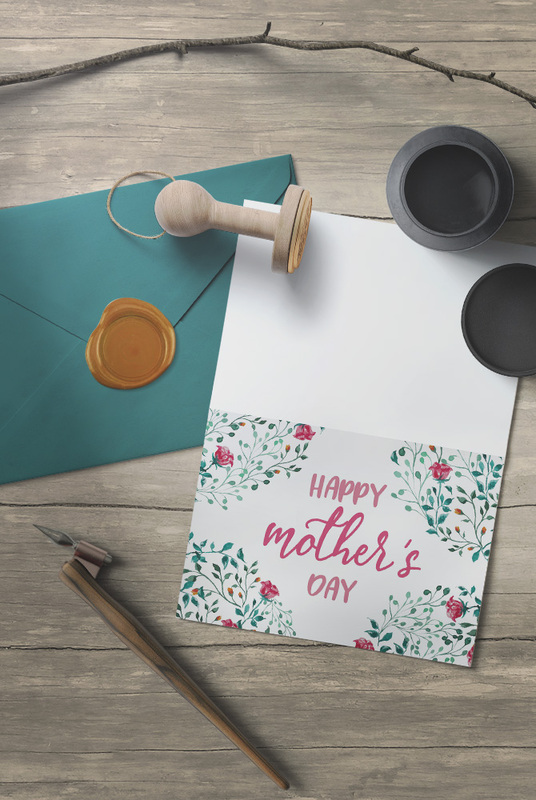 Once you’ve printed it, keep on reading below for how to make your budget-friendly homemade card look super professional. First things first, print this sweet printable Mothers Day card on sturdy card stock. These graphics would look great on white, cream, or even Kraft brown paper. You can find some great prices on cardstock on Amazon. I’ve formatted this 7-inch inch card to print easily on standard US letter size paper. What does that mean for you? It’ll be super easy to whip this printable through your color printer at home! Done and done! Or, you can send it off to print at a local office supply store for less than a buck. At my Fed Ex, it costs about forty cents to print a color print on cardstock. So easy! Once you’ve printed your card, you’ll need to trim it. 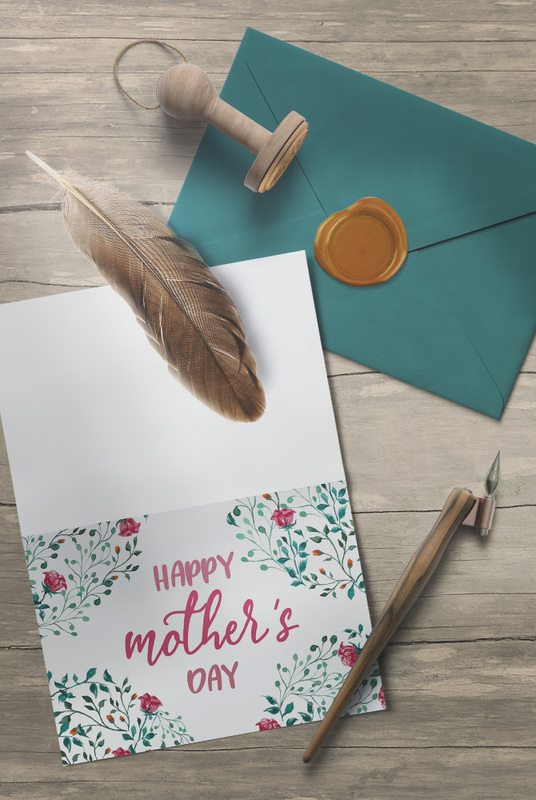 I’ve included handy cut lines on the printable Mothers Day card template so this will be easy for you. A few years back, I bought a really inexpensive paper trimmer on Amazon. It makes trimming cards simple. Otherwise, use a good pair of scissors and a steady hand, and you’re all set. To fold your cards, make sure to take the time and score the paper. By scoring, you’re leaving a little crease to ensure your fold looks tidy and crisp. How? If you have a paper cutter, chances are you might also have a scoring blade. Run the blade down the center line. Otherwise, use a scoring knife or the back of a dull butter knife to create a little indentation down the center crease. Then, once you fold the paper, use the knife again to smooth down the fold. 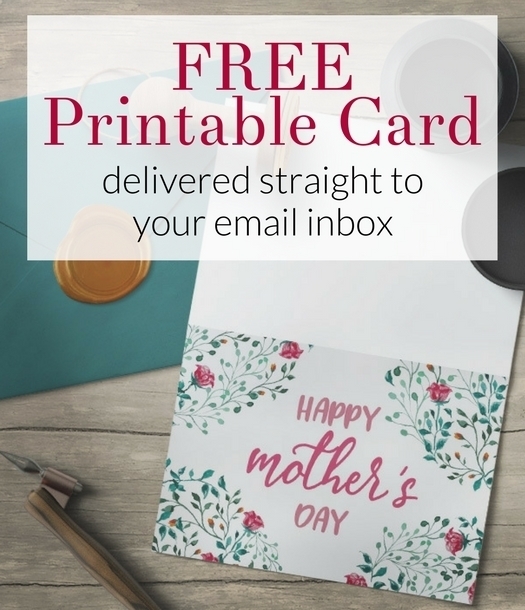 I really hope you love these free printable Mothers Day cards! Each time I pop by, I love leaving little gifts for the Crazy Craft Lady readers. 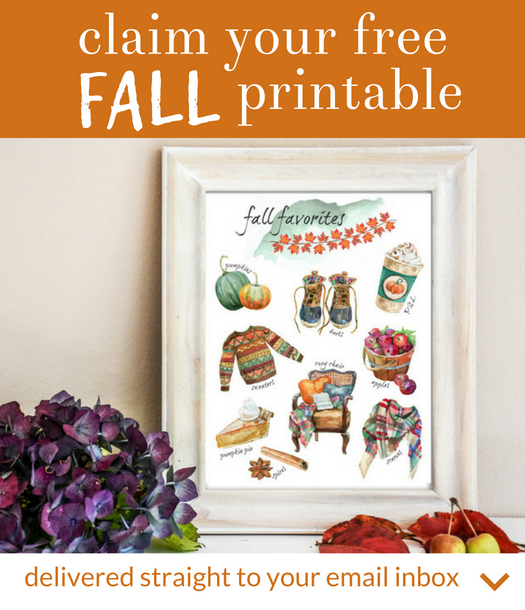 Pop a comment below to let me know other printables you’d find helpful! If you’re looking for some inexpensive printable gift ideas for Mothers Day, be sure to check out these gorgeous freebies: this sweet “farm fresh eggs” farmhouse print or this rustic fern downloadable art print! Enjoy!